Ask any fan of 1980s professional wrestling what their favorite characteristic of the era was and you’ll likely receive a plethora of responses, ranging from the bombastic personalities, the loquacious managers, the nearly-extinct squash matches, and, of course, the crossover into the mainstream. But no list of attributes of the extravagant decade would be complete without mentioning the period’s unparalleled penchant for paramount tag-team action. Whether it was the British Bulldogs (Davey Boy Smith and Dynamite Kid) battling the Dream Team (Greg “The Hammer” Valentine and Brutus Beefcake), the Midnight Express (“Beautiful” Bobby Eaton and Dennis Condrey/”Sweet” Stan Lane) squaring off with the Rock ‘n’ Roll Express (Ricky Morton and Robert Gibson), or the Rockers (Shawn Michaels and Marty Jannetty) tangling with the Brain Busters (Arn Anderson and Tully Blanchard), tag-team wrestling hit its absolute apex in the ’80s and despite a brief resurgence in WWE in the early 2000s anchored by the Hardy Boyz (Matt and Jeff), the Dudley Boyz (Bubba Ray and D-Von), and Edge & Christian, the scene hasn’t reached a comparative level since. 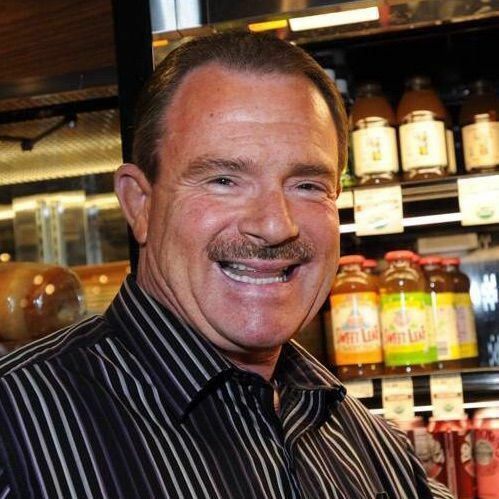 When WWE (then the WWF) mastermind Vince McMahon initially came up with the ambitious, yet risky, plan to take the company national – and in the process, raid, and subsequently put out of business the dozens of “territories” operating across the U.S. – one of the integral pieces of the puzzle was to create, from scratch, an all-star roster of twosomes. One of the first teams born from the expansion was a technically-sound tandem comprised of Floridian B. Brian Blair and Minnesota-native “Jumpin” Jim Brunzell. Collectively known as the Killer Bees, their menacing moniker is credited to Blair, who admittedly lifted the label from the 1982 Miami Dolphins’ “Killer B’s” defensive unit of a few years earlier. Tasked with coming up with a name a mere hour before the duo were scheduled to debut in 1985, Blair suggested the name to George Scott, the head booker, or matchmaker, at the time. While Scott was on board with it, he still had to run it by McMahon. 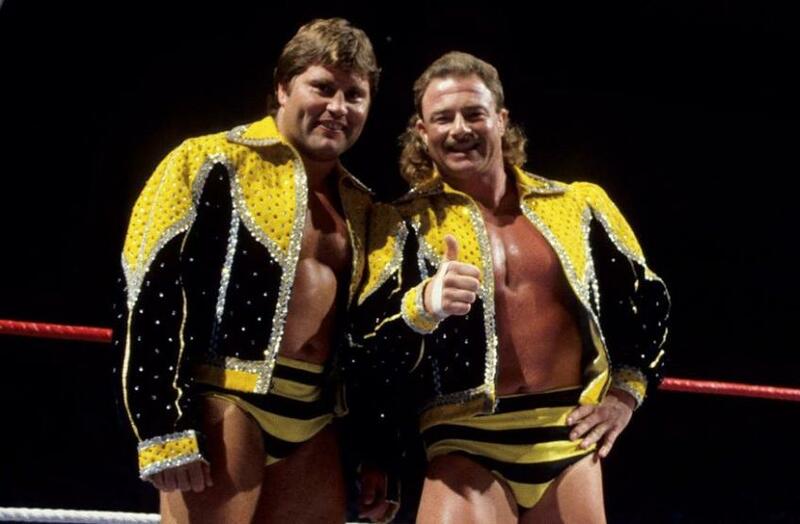 The Killer Bees became one of the WWF’s most beloved and successful teams, rapidly rising through the ranks of a stellar tag-team division that included the Fabulous Rougeaus (Jacques and Raymond), Demolition (Ax and Smash), the Powers of Pain (The Barbarian and the Warlord), and Strike Force (Rick Martel and Tito Santana). But it was arguably the greatest of them all, the Hart Foundation (Bret “Hitman” Hart and Jim “The Anvil” Neidhart) who were the Bees’ arch rivals for the majority of their successful run. “We enjoyed wrestling the Hart Foundation more than any other team, hands down,” Blair proclaimed. “Great chemistry and it was just so much fun working with Bret and Jim.” For Hart, widely regarded as one of the finest technical wrestlers in the history of the business, the feeling is mutual, as the WWE Hall of Famer named the Bees as the Foundation’s top opponents as well, in his 2008 autobiography, Hitman: My Real Life in the Cartoon World of Wrestling. Blair has no regrets about his time in the WWF, as the gig provided him with both fame and fortune, in addition to priceless opportunities to travel the world, something he wouldn’t have had the luxury of experiencing otherwise. But if there’s one aspect of his storied career that he could alter, it would be the fact that he and Brunzell never held the tag-team belts, the highest honor a team can be afforded. “We were promised a run with the straps by Vince and George on three different occasions,” Blair noted. “When it didn’t happen, they’d say that it was for the better because the money’s in the chase and once you win them, you have to work a lot harder. My rebuttal was that if we never won them, eventually the fans would stop believing in us.” Despite the Bees’ protests, the privilege never happened. The cause, however, wasn’t due to a lack of ability or drawing power. Instead, long-standing issues between McMahon and Brunzell likely played a major role in the slight. “Vince and Jimmy had so much heat. That’s the reason. And Jimmy would tell you that too,” Blair admitted. A career babyface, or “good guy,” in the squared circle, Blair did flirt briefly with a heel, or “bad guy,” turn at a taping in Philadelphia during a lumberjack match (ring is surrounded by wrestlers whose purpose is to prevent the competitors from escaping) between Hulk Hogan, who was the face of the promotion at the time, and the “Million Dollar Man” Ted DiBiase. Despite being on the same side, the Bees attacked Hogan, shocking the fans in attendance. Plans changed, however, and other than that one instance, the Killer Bees as villains never came to fruition. “We may have beat up Terry (Bollea, Hogan’s real name) too hard,” Blair joked. “The fans bought it but I think he was a little peeved. We just wanted to make sure it looked good but maybe it looked too good.” Whatever the reason, it only lasted a single night and to this day, is a little-known fact in the history of the team. Blair has come a long way since he first got bit by the wrestling bug in the mid-70s. Trained by Hiro Matsuda, he calls the three and a half summers he spent learning the ropes from the Japanese legend the toughest times of his life, alternating between seemingly endless Hindu squats, pushups, submissions, and a variety of other strenuous exercises. “The first day, I threw up until there was nothing left. The second day, the same thing. The third, I was trying but couldn’t,” he recounted. This caused Matsuda, known for his iron-fisted methods, to put his foot on Blair’s neck and ask why he wasn’t vomiting. Blair replied, “Mr. Matsuda, I haven’t eaten since the last time I puked” which caused his teacher to carefully look away before cracking a smile since he didn’t want to reveal that side of him to his students. “After that, he dialed it back a notch and respected me,” he surmised. For information on the Cauliflower Alley Club and the upcoming 54th annual reunion taking place April 29 – May 1 at the Gold Coast Hotel and Casino in Las Vegas, NV, click here. For information on ordering official Killer Bees comic books, click here. Connect with B. Brian Blair on Twitter.